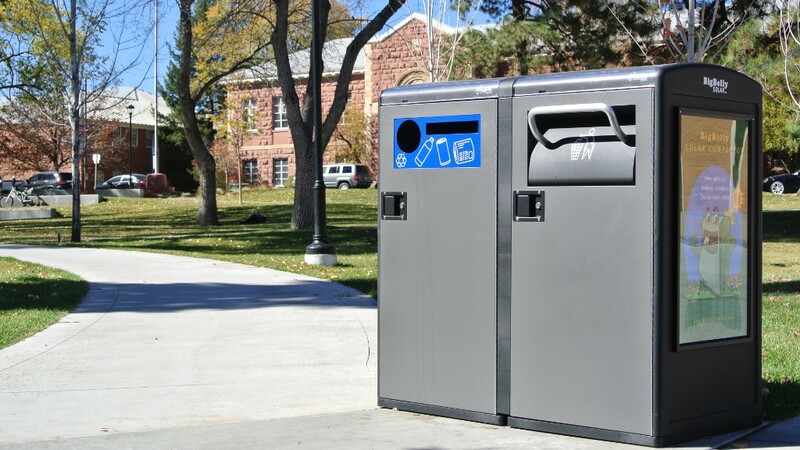 BigBelly Solar smart bins are in over 1,500 cities and on college campuses like Northern Arizona University. Managing trash cans can be a logistical nightmare for cities. "One of the biggest problem with trash collection is when you get an overflow -- it's a disaster," said Brian Phillips, executive vice president at BigBelly Solar. But BigBelly Solar's cans maximize the amount of trash they can hold (using compactors) and alert when pickup is necessary (with sensors and wi-fi inside the cans). Phillips says these smart trash cans turn what used to be 14 trash collections a week into just three pick-ups. BigBelly Solar (which launched 10 years ago but developed its sensor technology in 2009) has smart bins in over 1,500 cities in 46 countries -- in everything from retail stores to hospitals to colleges. Philadelphia has 1,100 BigBelly cans around the city, which led to a savings of roughly $1 million.